6 probiotic strains combined act synergistically to combat intestinal infections. 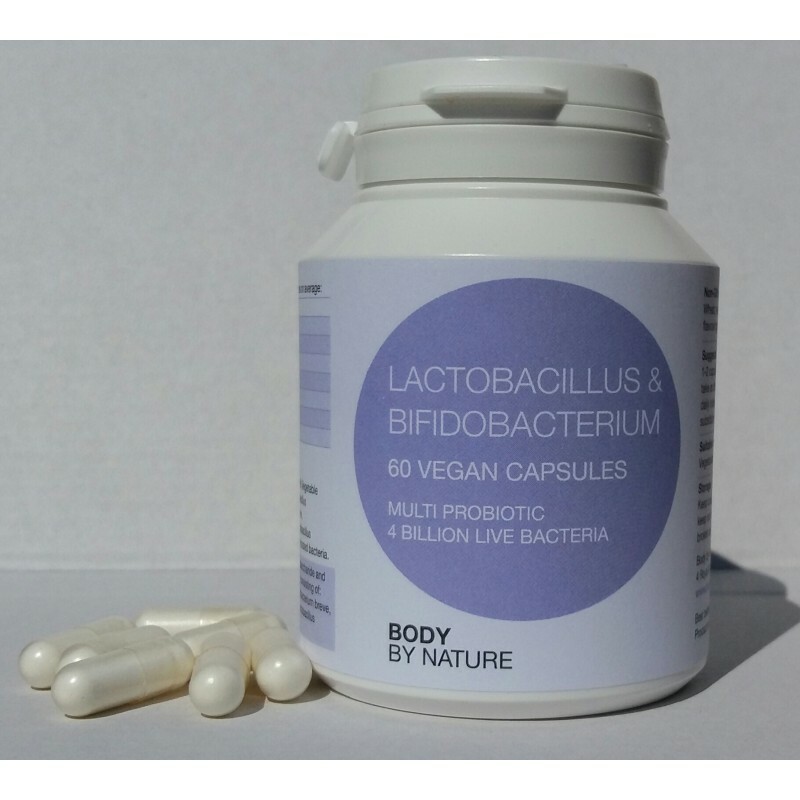 Lactobacillus & Bifidobacterium contains 6 strains of native live bacteria. We particularly recommend our supplement for people over 40 because it is high in Bifidobacteria which regenerate less easily as we get older. A one-a-day dose is ideal for maintenance, whereas this can be increased to one capsule three times daily in acute situations. Inulin (fructo-oligosaccharide), maltodextrin, capsule shell: (Vegetable Cellulose), dehydrated lactic acid bacteria culture (lactobacillus rhamnosus, bifidobacterium bifidum, bifidobacterium breve, bifidobacterium infantis, bifidobacterium longum and lactobacillus acidophilus), antioxidant (ascorbic acid). *Live viable dehydrated bacteria. Suggested Intake: 1-2 capsules daily, taken ½ hour after food, or at the end of the meal, or as directed by a practitioner. Suitable For: Vegetarians, vegans and for people with Candida, yeast and lactose sensitivities. Non-Active Ingredients: Vegetable cellulose (capsule shell), potato starch, ascorbic acid. Non GM & Free From: Dairy; wheat; yeast; gluten; lactose; added sugars, colourings, flavourings & preservatives. Storage: Keep cool, dry & out of direct sunlight. No need to refrigerate. For those taking Antibiotics: Take 1 capsule twice daily, preferably not at the same time as the antibiotics. Continue taking Acidophilus Plus for at least 14 days after completion of your antibiotics course. For those Travelling: Start taking Acidophilus Plus for at least 7 days prior to the start of your journey. During travel take the recommended daily dose, and continue to do so for at least 7 days following the end of your travels.